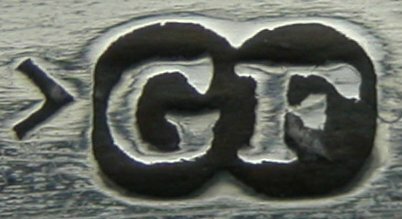 George Ferris I is a very well known Exeter maker. His first mention of work sent for Assay was on 15th January 1803, when he sent 13 pairs of buttons for Assay. There are then no further entries for him until 20th March 1812 when he sent a variety of work for assay, including 13 pairs of tongs. There was nothing else assayed in his name before 20th March 1812. 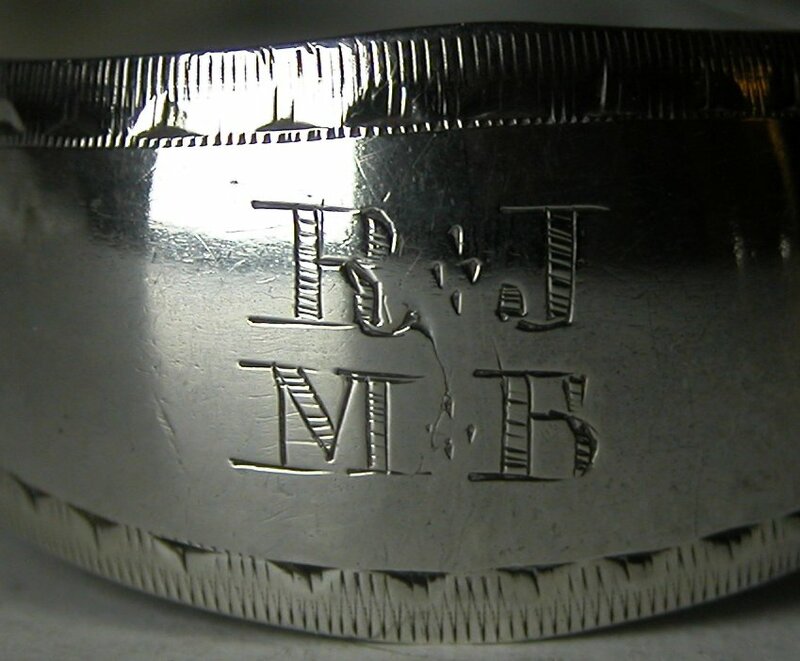 From March 1812 onwards, George Ferris sent regular work in for assay. This will no doubt have been as a result of him taking over from Richard Ferris, his brother. George Ferris II was George Ferris I's son. These are a fairly crudely engraved pair of bright cut tongs. The tongs are dated 1816 and the maker's mark has a journeyman's mark beside it.